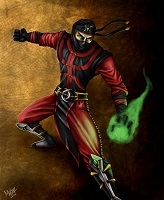 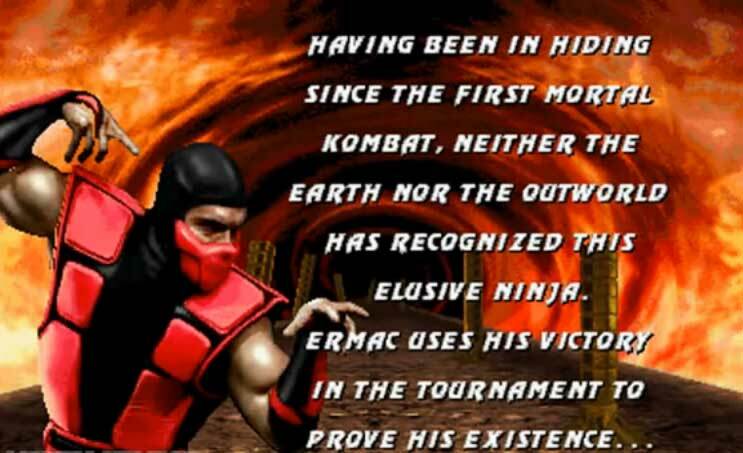 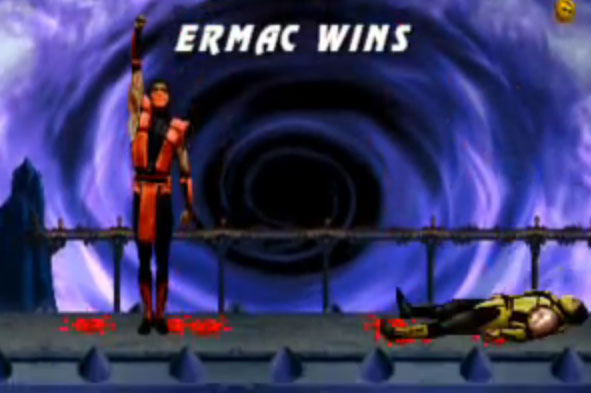 Ermac was a character rumored to exist in Mortal Kombat 1 already and due to the popularity of the fan-rumors, the MK development team eventually decided to make him a real and playable character in Ultimate Mortal Kombat 3. 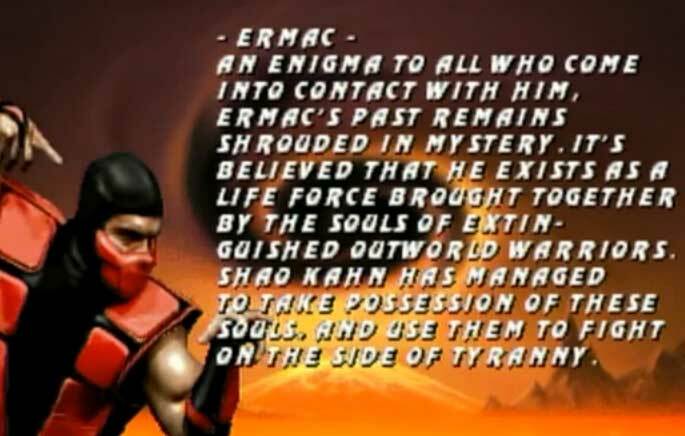 He is described as an enigma in possession by Shao Kahn, a vessel of many fallen Outworld Warriors with their powers combined in Ermac. 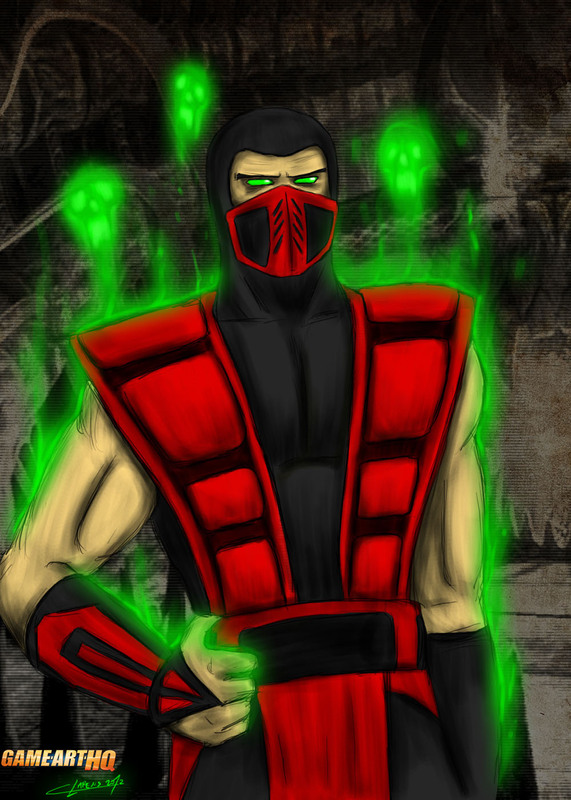 He has telekinetic powers as well as the big green projectile, Shao Kahn used as well and was a very strong character all in all. 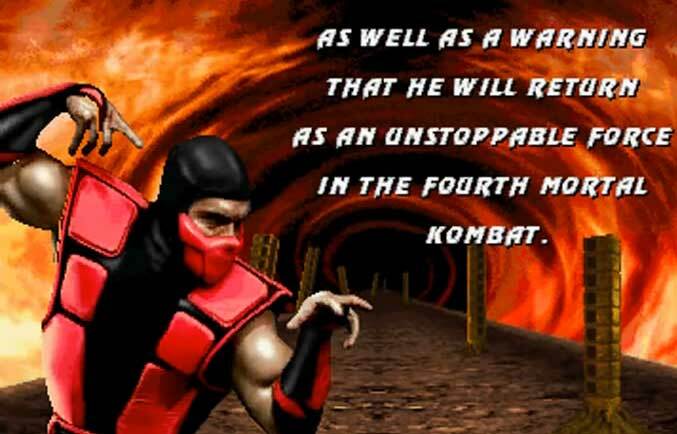 Seems the MK Developers wanted to make him something more prominent in Mortal Kombat 4 but plans changed, until 2004 when he returned with a big redesign and was no longer a palette swap ninja. 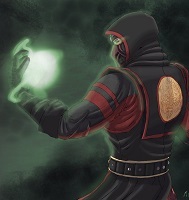 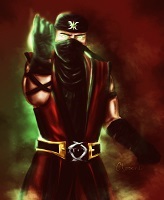 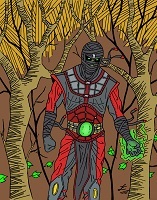 Ermac in his classic design was drawn by Omega Clarens as one of the first submission when we kontinued our Mortal Kombat Project in summer 2012!